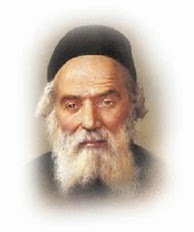 The Chofez Chaim often uses every day conversation as a frame of reference for explaining the laws of shmirat haloshon. However, he also clarifies how to behave during legal disputes; from these points we learn how to guard our tongues on a daily basis as well. The Torah talks about how various roles in the court system i.e. the judges, lawyers and witnesses should conduct themselves so as to avoid speaking loshon hara while in the midst of litigation. When it comes to explaining the laws of bearing false testimony, Hashem (G-d) does not mince words. Aside from incorporating the concept of motzei shem ra, the defamation of another person's reputation, "לא תענה ברעך עד שקר, Do not act as a false witness" is also the ninth of the ten commandments. That is, whether as a witness in the stand or while chatting with friends, if one has misleading information, he should hold his tongue. **And obviously, if the information is true, it's still considered loshon hara. All that notwithstanding, the focus of my article is not on the witnesses but the judges: the Torah explicitly tells that in all cases, the presiding judge is forbidden to hear the plaintiff's story before the defendant has arrived and vice versa (Exodus 23:1). While the judge isn't obligated to assume that the lawyer is a liar he must understand that listening to one case without the other being present may cause him to form erroneous conclusions. Doing so would be considered an exercise in loshon hara and is prohibited. The same law, not to listen to one side before the other has arrived can be applied to everyday conversation, such as with a mother and two arguing siblings -- she should wait till both siblings are present to state their individual cases first. As an aside, the problems associated with "bearing false testimony" change depending on the angle being analyzed. One has to be familiar with the laws of Torah in general, and shmirat haloshon in particular, in order to grasp whether the laws of shmirat haloshon are being broken or not. I also want to mention, in brevity, that while the laws of the Torah are binding, one's obligations can be susceptible to change; depending on extreme circumstances, something that was once forbidden may become permissible. If you are unsure as how to proceed in a particular situation, which is normal, it's imperative that you be in touch with your local orthodox Rabbi.